GAO RFID offers Reader Antennas that work together with our RFID Readers to accurately read RFID Tags. 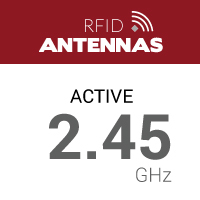 Basically our passive Reader Antennas transmit signals that are received by antennas embedded in RFID tags when they are within the antenna’s range so that they can be identified, enabling your environment to identify assets and track movement data efficiently at a high capacity. We offer the most commonly used antenna types in the market: linear and circular polarized antennas. 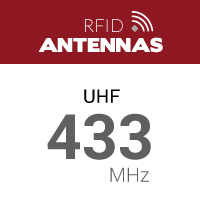 Our Reader Antennas are available as outdoor or indoor varieties in the 125 KHz, 13.56 KHz, 134.2 KHz, 2.45 GHz, and UHF 433 MHz, as well as 860-960MHz frequencies and are ready to be added to enhance your RFID system. 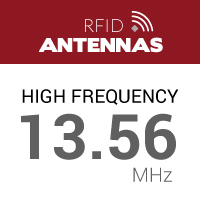 Our selection of Reader Antennas are available in popular frequencies including 13.56 HF (for close proximity reading), 134.2 LF (for animal tracking), UHF 433 MHz and 860-960 MHz (for longer range), and 2.45 GHz (for continuous long range). 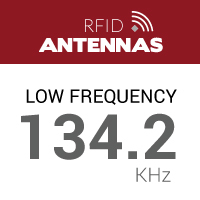 Adding our RFID Antennas will allow you to obtain the highest read rate for your system. 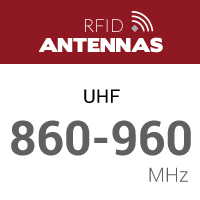 The right RFID Reader Antennas is crucial to your environment’s read rate success. What frequency are you looking for?